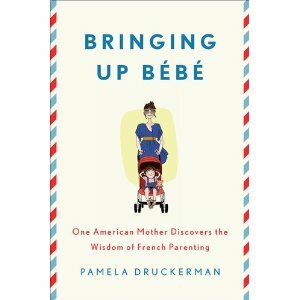 Druckerman, raising her children in Paris, describes the French parent’s ability to achieve outcomes so many American parents seem to have such difficulty with. Like teaching our children to sleep through the night, eat and sit nicely at meals (no ginormous bags of pirate booty and pretzels every half hour might just help, dontcha think? ), properly and politely greet adults, avoid interrupting and play on their own. The French practices of teaching respect, patience, self-control and delayed gratification – with easy, calm authority (“big eyes” she calls them), and being involved with the family without being obsessive are key points, according to Druckerman, and hard to come by in my parts these days. Our baby was under a year old when we returned to the States, yet I still got a small taste of the parenting style in Northern Italy. And I do say Druckerman’s observations are not just a French thing. I encountered some similar characteristics with many families there. At birthday parties, children played happily together while parents sat on chairs – not down on the floor – and enjoyed a glass of wine. Down the hill from our house was a part playground/part outdoor cafe (Awesome Idea. Why has it not caught on here?). Moms chatted and drank coffee – guilt-free- while the children played. At pick-up time at the local Italian preschool, parents were not even allowed in the playground area. The kids were having so much fun together they hardly noticed. Finally, the children knew they were expected to greet adults. As Judith Warner writes this week in “Why American Kids are Brats” for Time.com, saying hello and goodbye helps them to learn that they aren’t the only ones with feelings. Parenting styles will come and go. I’ve tried them all. I’ll admit it, after reading one book when I was desperate, I even followed the advice to roar (yes, roar) with my toddler as she melted down – giving voice, I guess, to the temper tantrum. Some experts say feed their ego or they’ll grow up with no confidence. Others say don’t feed their ego – if you do, they won’t be prepared for life’s hard lessons. Be their best friend. Be not their best friend – show who is boss! But the article suggests that amidst helicopter and other kinds of current popular parenting styles, some core, common sense lessons have gone lost and forgotten – like setting boundaries and teaching manners, good behavior and respect for who’s in control. Even though she makes the point that French parents aren’t perfect, I imagine this book, like all others on parenting, could ignite a heated debate. But it makes a lot of sense to me. Maybe I’m an example of a new kind of American mom, who went to too many Positive Parenting workshops early in my mom career, and years later, hear myself telling my kids “No means no because I said so!” Then realizing this is exactly the message I want to send them. UPDATE: “Teaching Self-Control, the American Way” is a fantastic NY Times editorial that came out in response to the attention this book has been getting. I love it. I hate it. I love it. I hate it. I love it. HGTV’s House Hunters International is one of a a small handful of programs I watch on TV, which include Stephen Colbert and the Jon Stewart Show. 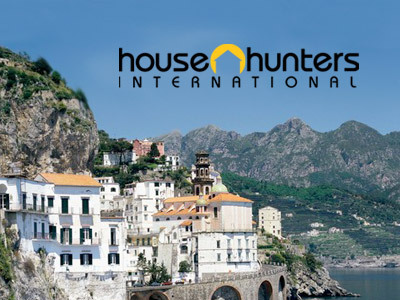 For those who don’t get the HGTV channel or have never seen the show, House Hunters International is a spin-off of House Hunters, a program that follows individuals, couples and families searching for a new home with the assistance of a realtor. They always end up with 3 choices, and a selection is revealed (the viewer fun is in guessing which home they select). House Hunters International properties are featured from around the world. When I watch, half the time I want to strangle the way-too-typical expats who complain that their European apartment doesn’t come with a big closet or American size kitchen, and the other half of the time I’m swooning over the lifestyle of a family moving from Thailand to Australia where their needs – not wants – include a pool or adjacent beach. But what many of the featured homebuyers are searching for is a dreamy home – or really a dreamy life – away from” it all” in a country defined in idealistic terms. While I appreciate the show’s attempt to feature semi-retirees or international businesspeople that can afford quite a lot, alongside more working-class professionals choosing to relocate, I can’t help wonder if when these home searchers become home owners in Croatia, the Caribbean or Italy, how much they will integrate into the country they are moving to. This is something I often wondered when meeting expats when living abroad, who often lived in expat bubbles, and many of you reading this know exactly what I mean. But I know that’s not really the point of the show. And I watch. and watch. And try to understand just why I am completely addicted to this show. I think it’s my passion for travel, the location shots and personal stories of why these people are moving to remote locations that pique my curiosity. Or, as a new homeowner, I love the renovation ideas and home decor (especially the tiles). All vacations come to an end, and I guess that’s the point I’m trying to make. And for this former expat – and perhaps for some of you reading this – when you are no longer on vacation, and start to live the highs and lows of daily life as a resident in your new country, that’s when the real fun begins. I hope after these international house hunters finish furnishing their gorgeous new foreign digs, they will experience rich rewards beyond a new house. But, likely, I’m not the target audience of House Hunters International.